Are you driving to Pisa city center? Are you coming from the FiPiLi highway? Are you looking for a parking near the center of Pisa? 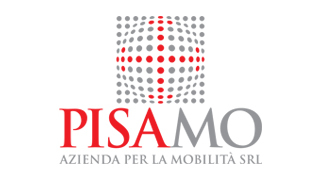 Pisamover is the right solution for you, with two large park’n’ride car parks and a fully automated ecological shuttle that takes you to Pisa Central Station in less than three minutes, from 4.30 am to 1.30 am. With an extremely convenient rate, including both the parking and the return ticket for the shuttle, Pisamover is perfect for moving around the city in a practical, fast and low-cost way. If you are a commuter or a student, you travel by car and you have to go to Pisa every day, cheap monthly subscriptions rates are also available, helping you to avoid traffic, stress and troubles in finding a free parking space in the center of the city. Park & Fly from Pisa airport? Are you flying to some tourist destinations? If you are driving and looking for a car park near Pisa airport, Pisamover is a good alternative, with more than 1300 parking spaces available in two large parking areas of Aurelia and Goletta. Pisamover allows you to reach the airport with a shuttle service in less than 3 minutes. The shuttle runs from 4.30 am to 1.30 am. The return ticket for the shuttle is included in the parking ticket.